Gypsum Creek Golf Course, Gypsum Creek Golf Course is a Pete Dye 18 hole Championship golf course. | Summit Express	The Most Fun You Can Have with Your Golf Shoes On! 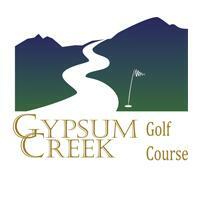 Gypsum Creek Golf Course is a Pete Dye 18 hole Championship golf course. The Most Fun You Can Have with Your Golf Shoes On! Gypsum Creek Golf Course is nestled in the beautiful Gypsum Creek Valley, just minutes from Vail and Beaver Creek. The front nine meanders along a mountain stream and the back rolls across a high alpine wooded mesa. Truly a stunning and unique golf experience! This 6,900-yard Pete Dye design is fun and challenging for all skill levels. And, whether you golf or not, you'll enjoy our spacious Gypsum Creekside Grill clubhouse with outside wraparound decks and mouth-watering dishes. Bring the whole family! There is also an outdoor 25-meter swimming pool, open to the public from June to August. Call us to book your next tournament, wedding, fundraiser or special event. Amenities: Golf Shop, Practice Facilities, Driving Range and Full-Service Restaurant. Book online for best rates.